Make your own ice or hot blended matcha beverages and smoothies. With high-quality matcha mixed with cane sugar, Sweet Matcha Green Tea comes in a perfect-sized bag for fast-paced restaurants and cafes. Private labeling is also available. Make your own ice or hot blended matcha beverages and smoothies. 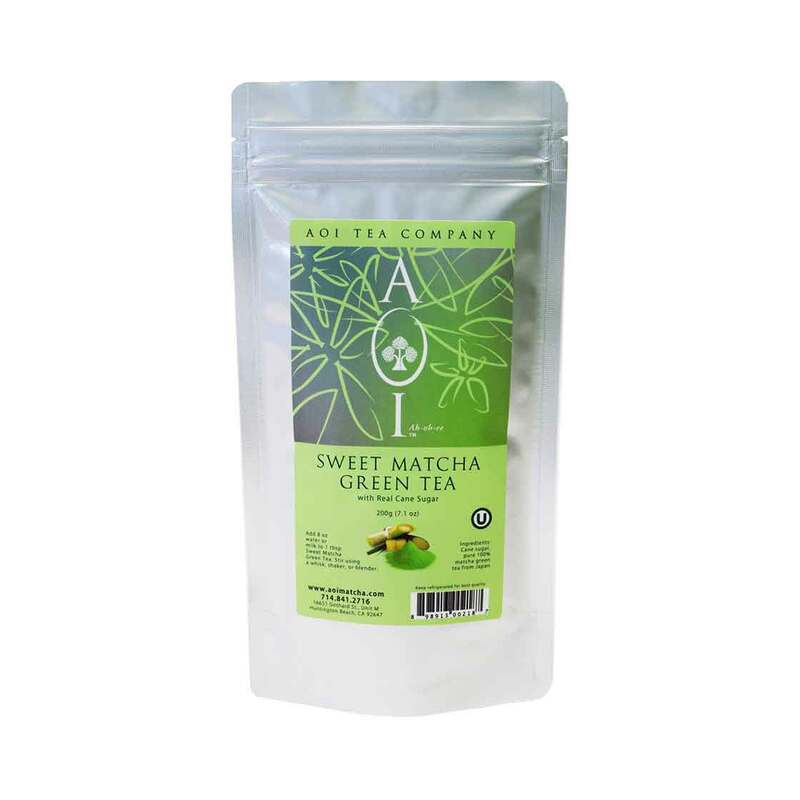 AOI Sweet Matcha Green Tea contains high quality matcha mixed w/sugar in a compact bag for restaurants, cafes and home use. 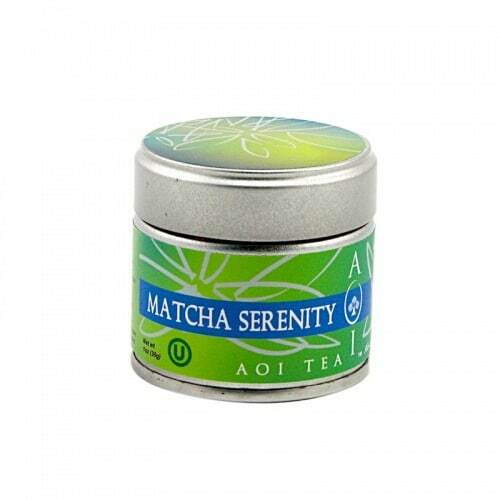 Rich Matcha sweetened with cane sugar. Ready to serve hot or cold. 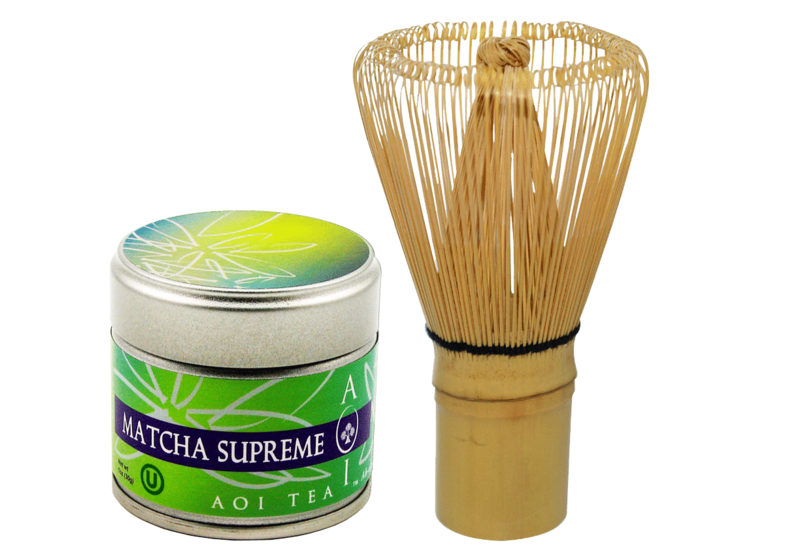 Use sweet matcha to prepare a traditional bowl of ceremonial tea or incorporate it into various recipes and other unique creations. 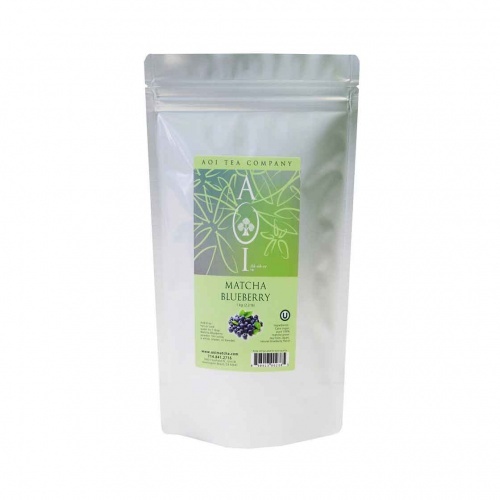 This blend is one of our most popular choices due to its sweet flavor. Enjoyable for all ages and ready to be served both hot and cold, this beverage makes the perfect treat on a cold winter night or a hot summer afternoon. 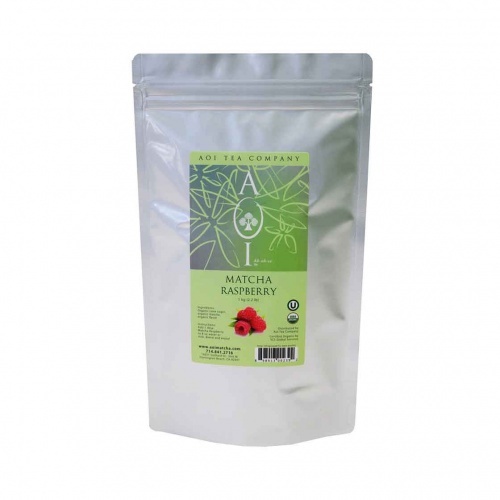 Pick up a bag today and enjoy the delicious taste of matcha!